The organising committee, chaired by Prof. Aldo R. Boccaccini, overseeing the participation of Argentina as partner country of MSE 2018. The committee promotes the participation of Argentinean colleagues at MSE 2018 as well as advertises widely the congress in Argentina, being responsible for organizing and coordinating the German – Argentinean joined symposium in materials science and engineering, a poster session as well as the international cultural program. Germany and Argentina have a long tradition of scientific collaboration and exchanges in broad areas of research. Materials Science and Engineering (MSE) is one of the areas in which this international collaboration and partnership have been most fruitful and successful. This symposium has been organized to showcase the current rich collaboration activities between the two countries in a great variety of MSE topics, from structural and functional materials to nanotecnology and biomaterials. Abstracts featuring German and Argentinean co-authors showing collaborative projects in any MSE subject are acceptable for this symposium. Engineering in the 21st century is a highly global endeavor, making the experience of living and working in a foreign country before graduation an increasingly valuable and sought-after qualification for new engineers entering the work force. The goal of this symposium is to inspire more Ph.D.-students and young researchers to make an international experience part of their education by allowing students to share their experiences directly, and by providing a forum for faculty, researchers and administrators to share information about the organization of international internship and study programs across institutions and countries. 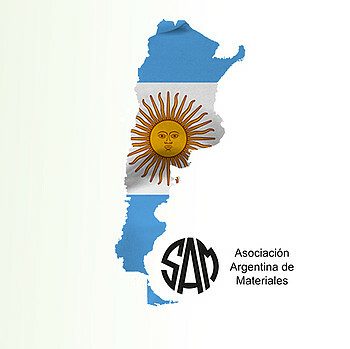 This symposium is organized in the frame of the Argentinean participation at the MSE and is a collaboration between the Sociedad Argentina de Materiales (SAM), The Minerals, Metals & Materials Society (TMS) in USA and the German Materials Society (DGM).